With 2019 well underway, you’ve been busy making (and possibly keeping) resolutions for a happier, healthier new year. As you do this though, don’t neglect the place where the resolution planning happens– your home. Read on to learn where creepy crawlies are sneaking in this season and how you could have a pest-free new year. Although the bathroom is where we go to get clean, the pests that seek shelter here are anything but. From ants and cockroaches to silverfish, spiders and centipedes; these sewer species consider your humid and moisture-filled bathroom the safe haven they’ve always dreamed of. If you’re hearing scratches, bumps or knocks coming from your attic, trust us– those aren’t your holiday decorations fighting for a chance to be put back up! 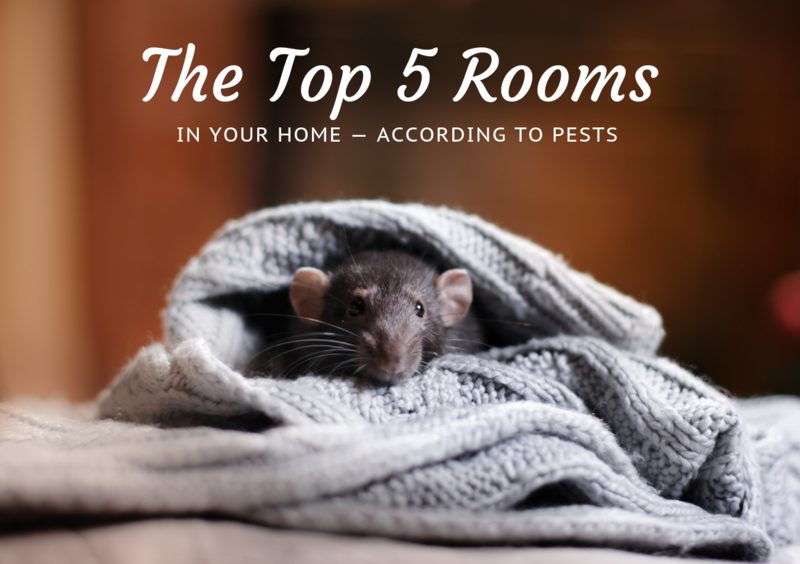 Although you may view the attic as a simple storage facility, rodents like to use your packing supplies and exposed insulation as nests to survive Arkansas’s harsh weather. Whether your basement is a man cave or more closely resembles the scenes of a 1990s scary movie, the bottom of your home is notoriously dark and damp– ideal characteristics for pests like termites, cockroaches and rodents who are house hunting this season. No surprise here! While the kitchen may be the heart of your family’s home; cockroaches, ants, mice and fruit flies frequent this room for less sentimental reasons. And with a 24/7 water supply in your sink and an all you can eat buffet in the pantry, can you blame them? Your family game night wouldn’t be complete without bowls full of extra buttery popcorn. If you can’t finish it on your own though, don’t worry– ants and house flies will happily take any leftovers they can find. That’s not all though. Despite their name, bed bugs are notorious for hitchhiking to living room couches, waiting for the moment when you fall asleep during one of those late-night movies. Whether it’s the top of your house, the bottom of it, or anywhere in between; the team at Command Pest Control has been sending pests packing since 1995. Contact us to make a resolution that you’re guaranteed to keep– a pest-free home.